In 2007, under the guidance of advisor Arvind Atreya, Chris LaFleur completed her Doctorate of Engineering in Manufacturing Engineering from the University of Michigan. She hasn’t slowed down in the ten years following graduation. Alongside other women, she has been forging the path for female success in the STEM fields by engaging in high level, impactful research. 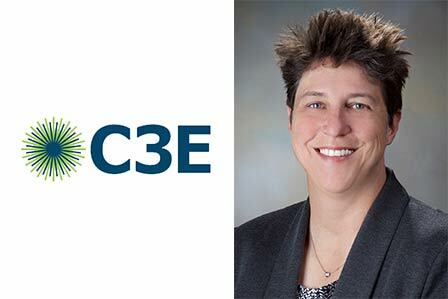 In 2017, Dr. LaFleur was recognized for her hard work by receiving the Clean Energy Education & Empowerment (C3E) Award. This engineering rockstar is ensuring that emerging energy technologies are reliable and safe. Recently, at Sandia National Laboratory, Dr. LaFleur has focused on characterizing the risks from traffic incidents involving hydrogen fuel cell vehicles in tunnels for several metropolitan areas on the east coast. She has also led risk characterization efforts for maintenance facility modifications to allow natural gas- and hydrogen-powered vehicles to be repaired indoors. Her contributions to energy technology research is intended to promote continued progress in society’s use of energy. Please join ISD in congratulating Dr. LaFleur for earning this important recognition. She has moved beyond her academic endeavors and proves true to our motto to be leaders and best!